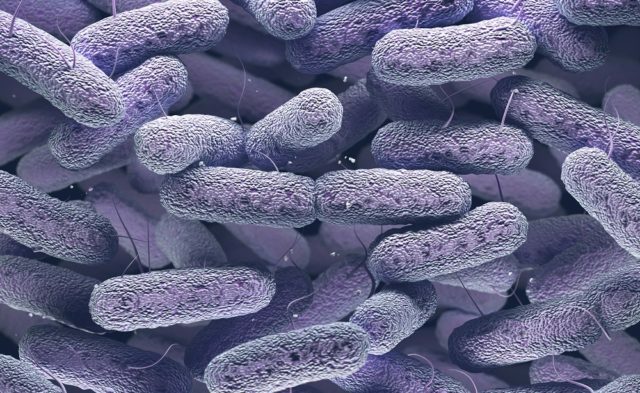 High quality evidence failed to support the use of piperacillin-tazobactam in ESBL-producing E coli and Klebsiella spp bloodstream infections. Resistance of gram negative bacteria to third-generation cephalosporins has emerged as a significant threat over the last few decades.1 This is largely mediated by the production of extended spectrum ß-lactamase (ESBL) enzymes which hydrolyze penicillins; first, second, and third generation cephalosporins; and the monobactam aztreonam. To address this question, the MERINO Trial,3 a multicenter open-label trial that randomly assigned patients with Escherichia coli or Klebsiella spp bacteremia with non-susceptibility to ceftriaxone to either standard infusion piperacillin-tazobactam (4.5g/6 h) or meropenem (1g/8 h). The primary outcome was all-cause mortality at 30 days and the study was designed to demonstrate non-inferiority with a margin of 5%. The study included 379 patients from 9 counties, 75% of whom were from Singapore, Australia, and Turkey, who were randomly assigned in a 1:1 ratio to receive either piperacillin-tazobactam or meropenem. Of the participants, 12.3% met the primary outcome in the piperacillin-tazobactam group and 3.7% in the meropenem group. This provided an absolute mortality difference of 8.6% (1-sided 97.5% CI: −∞ to 14.5%) corresponding to a number needing to harm <12. This result did not, therefore, meet the non-inferiority criteria (P =.90) and failed to support the use of piperacillin-tazobactam in bloodstream infections with these organisms. Secondary outcomes based on clinical and microbiologic resolution (survival plus resolution of fever, leucocytosis, and sterilization of blood cultures), microbiologic relapse and secondary infection with multi-resistant organisms or Clostridium difficile were not significantly different between the two antibiotic groups. However, the trends for all these outcomes favored meropenem. In the study, 80.7% of the isolates underwent further microbiologic analysis. The median minimum inhibitory concentration for piperacillin-tazobactam was 2mg/L (interquartile ratio, 1.5 mg/L to 4 mg/L). Only 4 isolates (1.3%) were resistant to piperacillin-tazobactam (Clinical and Laboratory Standards Institute breakpoint minimum inhibitory concentration ≤16). No relationship between the minimum inhibitory concentration and survival was found in patients randomly assigned to receive piperacillin-tazobactam. ESBL production was identified phenotypically in 86.0% of the isolates (85.0% E coli and 92.5% Klebsiella spp). ESBL genes were found in 85.3% of isolates, ampC genes in 10.2%, and 2% had both ESBL and ampC. Infectious Disease Advisor talked to Dr Patrick Harris, infectious disease physician and medical microbiologist, who is currently a postgraduate research fellow at The University of Queensland Centre for Clinical Research in Herston, Australia, and was first investigator in the MERINO Trial. Infectious Disease Advisor: In the MERINO Trial, none of the deaths reported in the two groups were found to be directly linked to infection. How do you explain the clear all-cause mortality difference between the piperacillin-tazobactam and meropenem groups? Patrick Harris, MD: First, I think we have to be honest that physicians are not particularly accurate in attributing cause of death, especially in patients with multiple comorbidities. We know that following severe infection, an increased risk for mortality can be observed for a prolonged period — possibly for years according to the results of some studies. There are probably complex physiologic reasons for this, and our study cannot easily address this deeper question. However, we hypothesized that in patients with more complex disease (poor immune status, high degree of comorbidity, severe sepsis, etc), an episode of bacteraemia provides an additional physiologic insult and increases the risk for a poor outcome. Although the effects were not statistically significant, we did observe that patients treated with piperacillin-tazobactam were slower to resolve objective markers of infection (the median day of resolution was 1 day earlier in the meropenem arm) and a smaller percentage had resolved by day 4 post-randomization. Thus, it might be surmised that less efficient bacterial killing and a more prolonged recovery period may provide enough impetus to push vulnerable patients “over the edge.” The ultimate cause of death may well be related to their underlying disease, but the septic insult perhaps precipitates a sequence of events that leads to a poor outcome. We know that meropenem is a highly effective drug for ESBL-producers, and has some theoretical advantages in terms of bacterial killing, and we may be seeing the consequences of this in these patients. It is also worth remembering that patients who were moribund (ie, unlikely to survive beyond 96 hours) at the time of enrollment were excluded from the trial. As a result, we were unlikely to see many deaths directly attributable to sepsis in the early post-randomization period. Infectious Disease Advisor: Do you think a question remains as to whether extended or continuous infusions of piperacillin-tazobactam may be non-inferior to meropenem? Dr Harris: That is a question that has come up a few times, and I am not sure we can easily answer it. BLING-3 is a large international randomized clinical trial that is attempting to answer this question with respect to beta-lactams in general, but it may not provide a specific answer for ESBL-producers and piperacillin-tazobactam. We are planning to look at this more closely using a hollow fibre model and examine the effects of altering the pharmacokinetic/pharmacodynamic parameters when tested against a variety of organisms in the MERINO Trial. We tried to maximize the exposure with conventional dosing (4.5g/6h), but continuous infusions are not yet standard of care in most hospitals. Since MERINO was a pragmatic trial, we were interested in assessing the effect of these treatments as currently applied in daily practice. Perhaps someone will be enthusiastic enough to replicate MERINO using extended or continuous infusions. My sense is that a major flaw in our thinking about this issue is that we are poor at truly determining the minimum inhibitory concentration for piperacillin-tazobactam in these complex organisms and we ignore the underlying mechanisms of resistance, which are complex and variable but treated as homogeneous. We are currently teasing these elements out in a post-hoc analysis of the trial in light of the phenotypic and genomic characteristics of the organisms. Infectious Disease Advisor: The multinational character of the trial is a great strength, but there were very few patients from North America. Should US clinicians have concerns about applying these result to their patients? Dr Harris: I would be surprised if the patients’ characteristics were hugely dissimilar in the United States compared with Australia, New Zealand, Singapore, or Europe. Looking at the organisms, the dominant E coli sequence types (e.g. ST131) and ESBLs (e.g. CTX-M) were also consistent with previous descriptions from North America. There may be subtle differences in practice or patient populations across countries, which is the reason we wanted an international cohort. I can only suggest that readers look closely at the details of the MERINO Trial and ask themselves: Do these patients look similar to the patients in my practice? Infectious Disease Advisor: In several previous observational studies, efficacy was similar for both beta-lactam/beta lactamase inhibitor and carbapenems for treated ESBL-producing Enterobacteriaceae bloodstream infections. The MERINO Trial shows that this is not the case following randomization. This difference in outcome might be explained by physicians preferentially using carbapenems in sicker patients. Should a dedicated study looking specifically at patients without markers of clinical severity be considered? Dr Harris: I think that is a reasonable proposition. The increased risk associated with piperacillin-tazobactam was diminished in patients with a urinary focus, low Pitt or Charlson scores (bacteraemia severity scores). A randomized clinical trial that included only these “low-risk” patients (perhaps combined with extended infusions) is possible, but I suspect that would be challenging to undertake both in terms of clinical equipoise and recruitment when so many exclusions are applied. High quality evidence fails to support the use of piperacillin-tazobactam in ESBL producing E coli and Klebsiella spp bloodstream infections.